If any road user is set to get a Valentine’s card this year, it’s bus drivers. According to a new study released today (13th February), they are uniformly considered the safest on the road by motorists, cyclists and pedestrians. However, as people gear up for Valentine’s Day, the fraught state of relationships among many road users of the UK has been revealed. Van drivers are ranked among the least-loved. Car drivers and pedestrians named them as the least considerate on the road while cyclists consider them to be both the least safe and most annoying. They are also the second least safe in the opinion of car drivers and pedestrians. 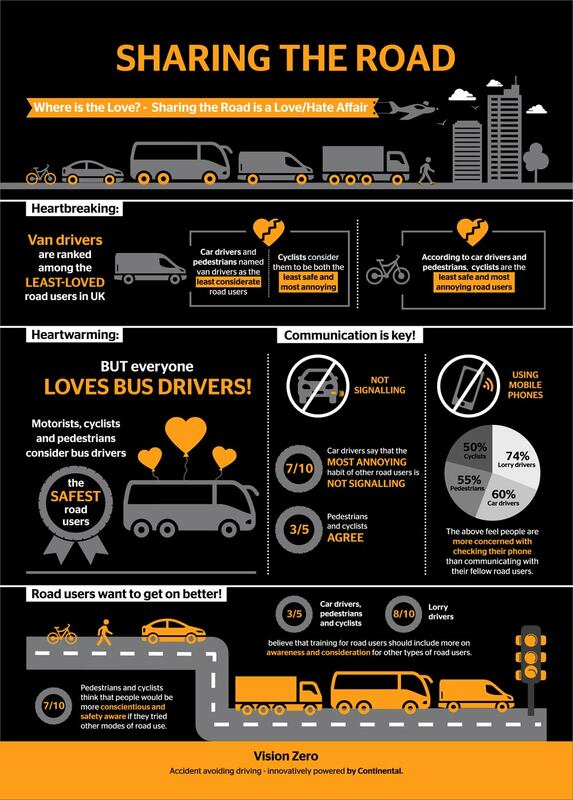 Cyclists are also short of love, being named the least safe and most annoying by car drivers and pedestrians. Communication is the corner stone of all good relationships, but this research shows that many UK road users are falling short. Seven out of ten car drivers say that the most annoying habit of other road users is not signalling. They’re joined by three out of five pedestrians and cyclists. Mobile phone use was another pet peeve with 74% of lorry drivers, 60% of car drivers, 55% of pedestrians and 50% of cyclists all calling out people who are more concerned with checking their phone than communicating with their fellow road users. Mark Griffiths continued: “It’s incredibly positive that, despite the everyday annoyances people experience, there is a desire to understand how others use the road. “As identified in the survey, better training and education is being cried out for by road users and this is something we are addressing in our Vision Zero strategy to eliminate collisions and fatalities. 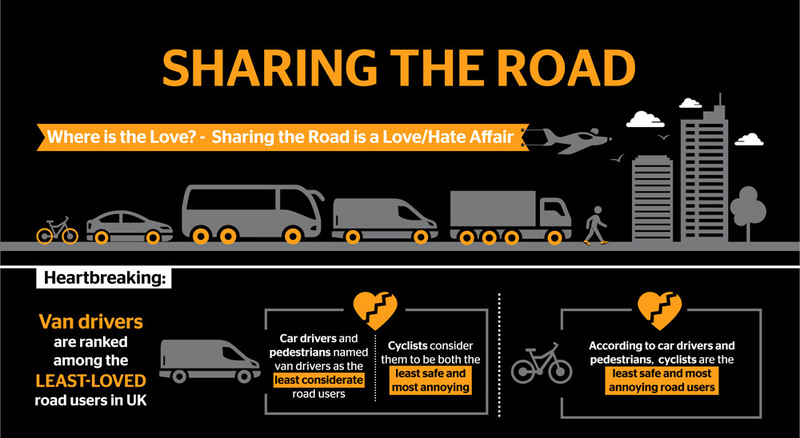 “Simply by sharing the same space, road users are unavoidably connected - just as motorists and cyclists are linked by the one thing that connects them to the road – their tyres. New research released today shows that two-thirds of UK motorists believe the government should introduce technology to disable certain phone functions for the sake of safety. More than seven in ten Brits admit their own poor driving adds to road rage as driver error remains the greatest cause of accidents, according to new research released today for Continental Tyres.